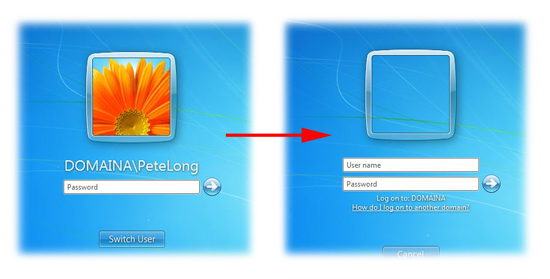 By default Windows will display the last user that successfully logged on, on shared machines or in a secure domain environment you might not want this..
On a Single (stand alone) machine. 2. 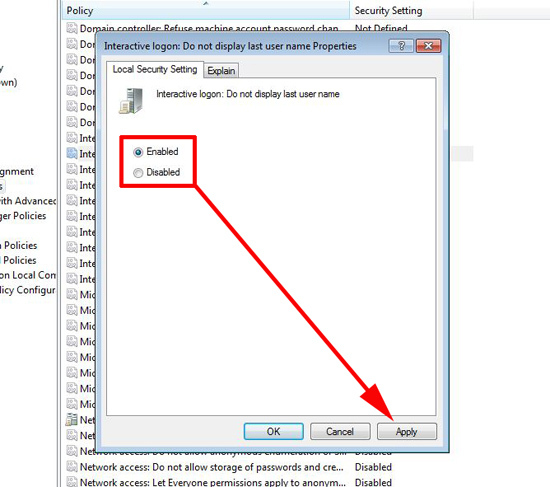 Navigate to > Computer Configuration > Windows settings > Security Settings > Local Policies > Security Options > “Interactive Logon: Do not display last user name”. 3. Simply enable the policy. 4. 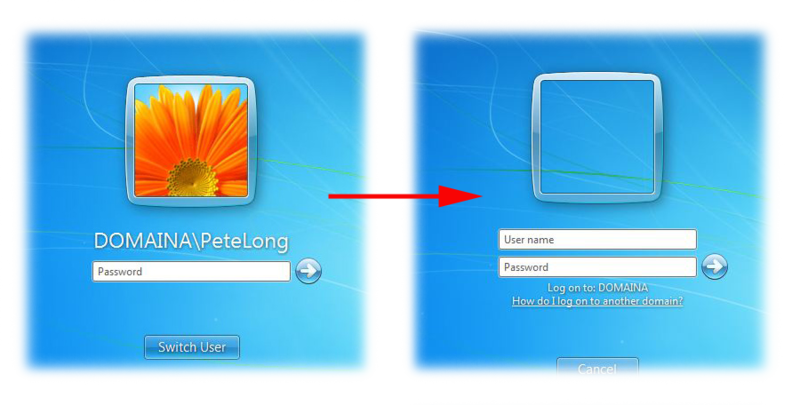 Reboot the PC or run gpupdate /force. 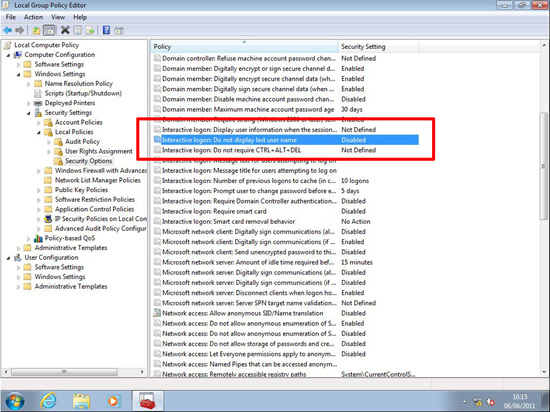 Note: This procedure was carried out Server 2008 R2. 1. 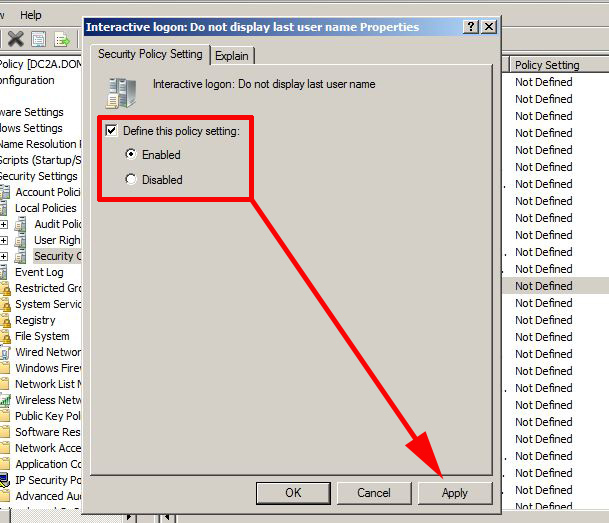 On one of your domain controllers > Start > Administrative Tools > Group Policy Management Console > Either select and existing policy or create and link one to the COMPUTERS you want this policy to affect. 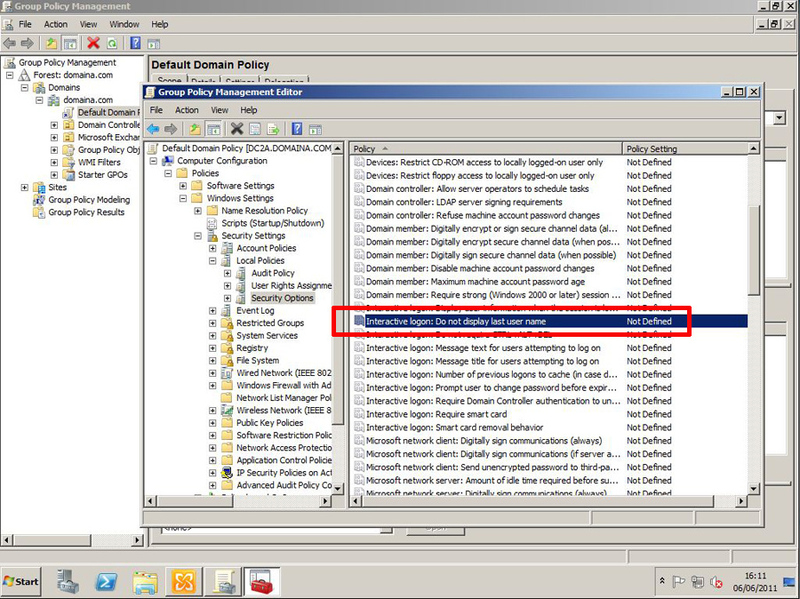 Then edit the policy. 2. 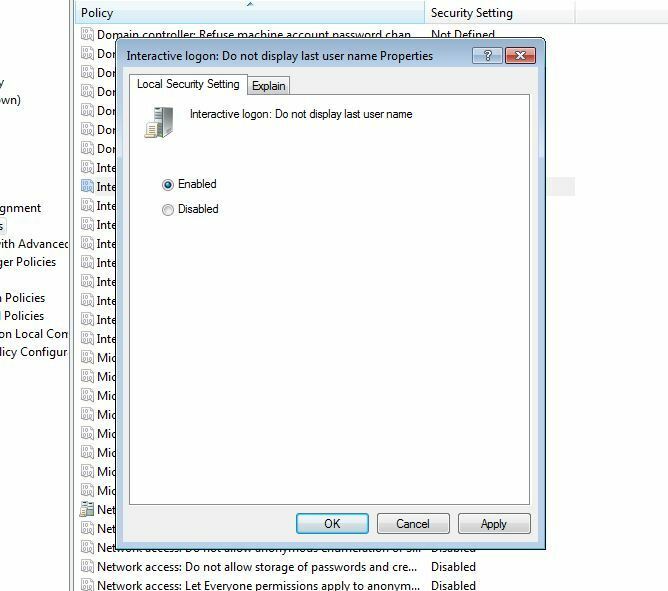 Navigate to > Computer Configuration > Policies > Windows settings > Security Settings > Local Policies > Security Options > “Interactive Logon: Do not display last user name”. 3. Tick to define the policy, and set it to enabled.